This nation’s roads are shared by cars, trucks and motorcycles. The trucks that we encounter contribute to the economy, through their shipping of valuable goods from coast to coast. Yet, we must remember that most trucks weigh more than 30 times the weight of a typical passenger automobile. This means that any collisions among cars and trucks are likely to do more damage to the car and create more serious injuries for the automobile occupants. Many elements contribute to truck accidents. One particularly technical aspect of truck transportation is ensuring that all cargo is loaded correctly and secured appropriately. When cargo is not appropriately secured, the cargo can tip or shift horizontally and change the center of balance of the vehicle, contributing to steering problems and difficulty braking. In worst case scenarios, the cargo can fall out of the truck, creating havoc on the roadways. It is the responsibility of the driver, the owner of the truck and the owner of the transportation company to ensure that all cargo is stowed in a manner that follows highway regulations and ensures safe transport. There are certain items that have specific loading specifications. These include logs and lumber, building products, pipe, automobiles, light trucks and vans, heavy vehicles, equipment and machinery, flattened or crushed vehicles, and heavy rock or masonry. Cargo has been loaded and secured and does not exceed the Working Load Limit. Cargo has been tied down with appropriate material and at the appropriate angle. The tiedown tension must be adequate. 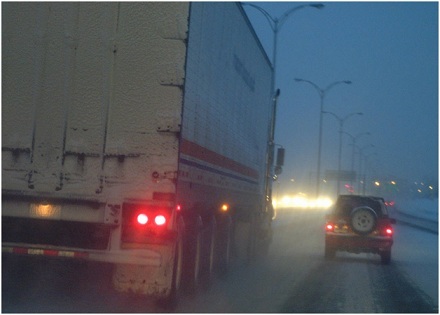 Corrective measures must be taken if the deck of the truck is wet or icy. The vehicle must be in good working order. The sites of tiedowns must be undamaged and in good working order. If you have been injured due to a collision with a large truck, please contact us at Turner and Turner. We are knowledgeable experts in truck accident law.